Posted on March 7, 2019, 11:15 am, by admin, under Tiffany's World. WE ARE EXCITED TO OFFER BOPPER SLIME PARTIES IN ADELAIDE! ARE YOU LOOKING FOR A PARTY THAT’S ON TREND, FUN AND CREATIVE FOR YOUR CHILD’S BIRTHDAY? 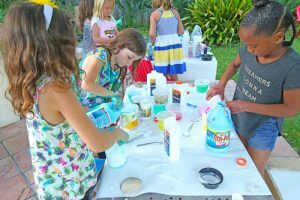 TRY OUR AMAZING SLIME PARTY! CAN BE USED IN COMBINATION WITH OUR DISCO PARTIES! If you have older children at the party, we will tailor the experiments and activities to suit. Entertainer to host and organise the slime-tastic fun. 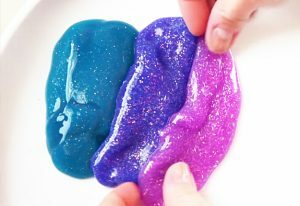 Glitter and textured slime fun! 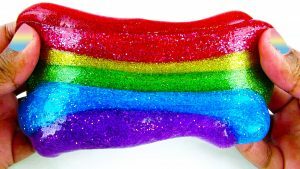 Including a DIY slime creation for each guest to take home at the conclusion of the party! Your entertainer will arrive 15 minutes prior to the party to set up all the slime fun. They will bring a small speaker for music, all equipment and ingredients for the slime. Your child will be featured as the star throughout their party. 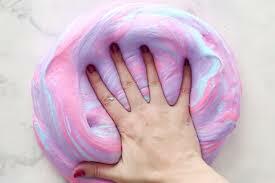 Then we begin the hour of slime fun which feature two DIY slime creations per child. At the end of the party we will make time to sing happy birthday to the birthday child. Each child will get to take home 2 special slime creations. Prices are for up to 15 children. If you are having more than 15 children a second Slime host will be included for an extra $150 (up to 30 children). Travel charges do apply in some areas. Due to the nature of our slime parties the duration cannot be extended. If you are after a longer party that includes slime fun, check out our DISCO Parties. Posted on March 2, 2019, 10:18 pm, by admin, under Discos, Kids Parties, On the Stage. We are excited to offer our ever popular School Holiday Pop Star Performing Arts Workshops are on again in Adelaide for 2019! At the end of the two days your children will get to perform in a CONCERT for family and friends, showing off what they have learnt over the two days. This part is always so special. They will also be awarded with a Performance Certificate. To share our excitement for the upcoming holidays, we are offering you this $20 OFF Early Bird special if you would like to book your kids into our next School Holiday Workshops in April! And, because we know children love bringing their friends, this offer is extended to your friends too. OR email tiffany@boptillyoudrop.com.au to reserve your spot. Don’t miss out on this wonderful opportunity for your child to gain new skills, increase their confidence and of course, make new friends. Our goal in providing these workshops is for all the children to walk away feeling special and knowing that they can do anything they put their mind to. We hope to share that experience with your children. Heres a little snippet from one of our other programs and if you see our albums on Facebook you can see the fun the children have in this great workshop. Posted on February 28, 2019, 3:38 pm, by admin, under Discos, On the Stage, Tiffany's World. Tickets are now on sale for the next Blue Light Disco Movie lockdown at Wallis Cinemas Piccadilly. Its on Friday the 12th of April 6 – 9.15pm. This is a really FUN night for the children, a Bop till you Drop Disco and then they can sit back and relax and enjoy MISSING LINK The Movie. The kids are safe for 3 hours and you and your friends can enjoy a meal or movie yourselves! It pays to book as the new movies book out fast! MISSING LINK – Tired of living a solitary life in the Pacific Northwest, Mr. Link — 8 feet tall and covered in fur — recruits fearless explorer Sir Lionel Frost to guide him on a journey to find his long-lost relatives in the fabled valley of Shangri-La. Along with adventurer Adelina Fortnight, the trio encounters their fair share of peril as they travel to the far reaches of the world. Through it all, they learn that sometimes one can find a family in the places one least expects. Posted on March 25, 2018, 9:17 am, by admin, under Discos, Tiffany's World. Wallis Mainline Drive-In are once again holding special Saturday movie nights dedicated for families. They open an hour before the movie starts so you can get there early and enjoy a relaxed dinner before sitting back to watch the large outdoor screen. Pack the car with pillows and blankets along with foldable chairs. A picnic or the cafe has plenty to offer. The children not only get to watch a movie but an hour of FUN FREE Activities are also available. Different nights offer different activities so check out the program for whats on. What’s on at the Family Flix drive-in movies? At only $25 for a car (maximum 5 persons per car) it’s a great value family night out. You can also pre buy tickets to these nights from Wallis, as they are really popular and it would be a shame to drive all the way their and miss out!